CMS2CMS is an automated, web-based CMS migration service that moves your website or forum to a new content management platform, without the headaches of manually doing it yourself. If you look through the history of website management tradition, you’ll definitely find something consonant with classics and modernity. More than a decade, the vast majority of content management systems have been breaking the new ground of transparent and multifunctional website creation. It was like a transition from static HTML website to the contemporary CMS software. The Chinese proverb says, “Be not afraid of going slowly, be afraid only of standing still”. At the sight I saw this saying, the comparison of static HTML site and the one built on WordPress comes to my mind. And it’s so true! 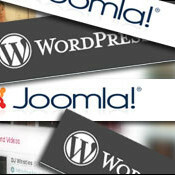 Joomla to WordPress Website Migration: How to Make it Easy? If you think about a CMS platform, what names automatically come to your mind? In 99% of cases, it’s WordPress and Joomla. These are the most popular content management systems in the world, that control almost 65% of the CMS market. 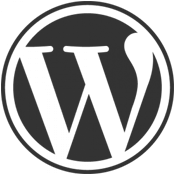 However, Google Trends demonstrates clearly that since 2010 (the release of WordPress 3, which actually turned it into a full featured CMS from a blogging platform) the demand for WordPress has grown and now it wins over Joomla in popularity.